CEPIC along with over 50 other cultural organisations have joined the campaign to ask for better funding for the EU cultural and creative sectors. After concerns that the culture and creative sector budget was minimal in comparison to the impact and jobs the field created. There is still a call for more to join the open letter, so please spread the word and signup! 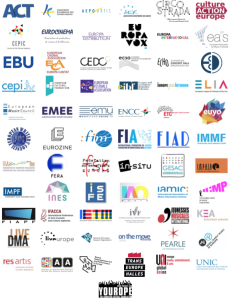 We also encourage you to sign the petition started by Culture Action Europe calling on member states and the EU to i) ensure that 1% of the budget of each EU policy field is allocated to culture and ii) double the EU budget for culture. 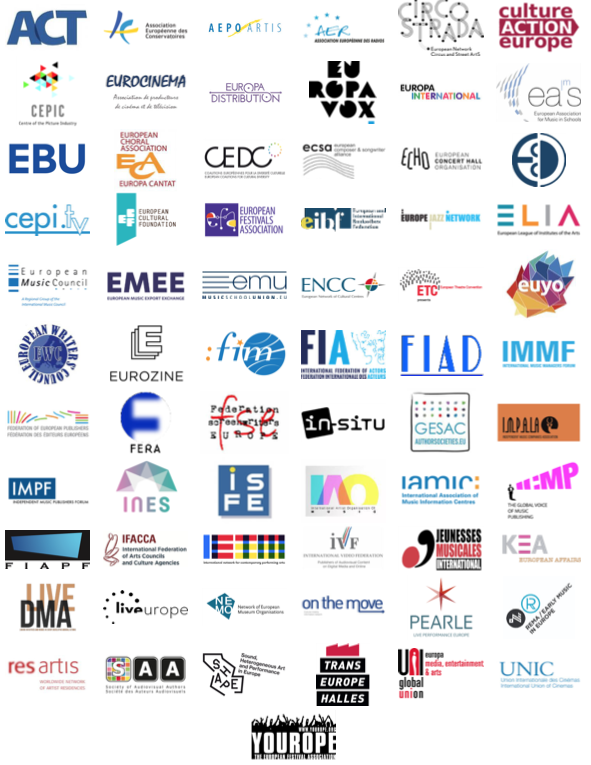 The signatories of this letter are more than 50 organisations from across the cultural and creative sectors, urging the EU to give a significant and much-needed boost to the EU’s budget dedicated to culture. The cultural and creative sectors provide more than 12 million full-time jobs (7.5 % of the EU’s work force), and create approximately €509bn in value added to GDP (5.3 % of the EU’s total GVA)1. This is to be contrasted with the €1,4bn allocated to the EU’s support programme for culture, Creative Europe, over a period of 7 years, which represents 0,15% of the EU’s overall budget. Culture’s contribution to the social, economic and artistic development of Europe has been fully attested2 , substantiating the EU added value of cultural investment. Cultural and creative sectors are significant drivers for sustainable growth and job creation and generate major spillover effects for other industrial sectors, placing them among the EU’s main assets. And yet, they are notoriously underfinanced and their huge potential remains largely untapped. In 2011 already, it was estimated that there was a finance gap of some €2.8bn to €4.8bn in terms of bank loans for cultural and creative SMEs3. The cultural and creative sectors are eager to grow and build upon their recognised excellence. A significant increase to the EU budget dedicated to culture would provide a welcome boost to the EU economy and help European culture shine even brighter. At a time when the EU is trying to overcome the current investment gap, and prepares for the shortfall created by Brexit in the next EU budget, we need to capitalise on our strengths. In your 2016 State of the Union, you proclaimed that artists and creators were Europe’s “crown jewels”4 . More recently, addressing the EU Culture Forum, President of the European Parliament Antonio Tajani stated that “culture, more than our economy, is the glue which holds Europe together and must be the starting point of our efforts to revitalise our Union”5. The Commission also has a duty to consider cultural and creative sectors as a horizontal priority within EU funding schemes and programmes6 . Given their strategic role in the EU’s economy and their crucial impact in European society, cultural and creative sectors should also be able to benefit from sources of EU funding outside Creative Europe, such as the EU’s structural and investment fund, COSME and Horizon 2020 programmes, education and enlargement/neighbourhood policy and programmes. As the Commission asserted in its reflection paper on the future of the EU finances “How the budget changes – and what it is used for – depends on what future we want for our Union and on the level of ambition we choose to work together to shape that future” 7. This is why we call on the EU to double the budget allocated to the successor of Creative Europe, the EU’s programme dedicated to the cultural sectors, and ensure these sectors also have access to other sources of EU funding.